Being broke is no reason for you to deprive yourself of looking your best this Fall/Winter with Romwe. Check out this flash sale which is by far probably the cheapest ever! 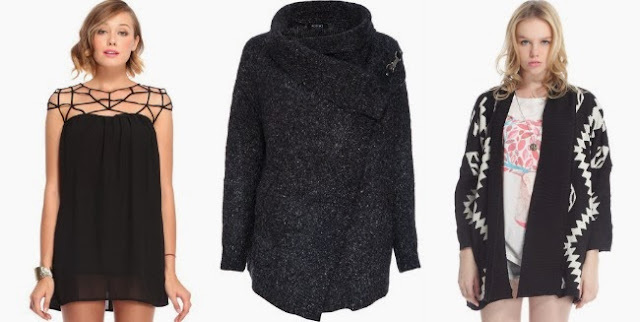 Get these pretty, cold weather ready clothes for as low as $9.99/P436 plus and additional $3 dollar discount when you use this exclusive code: caroline$3 upon check out...that will make your total around $6.99/P300 only! Flash sale sale begins on Novemeber 20 til the 26th of 2013 only, check poster above for more details. To check out what else is included in the sale, click HERE. 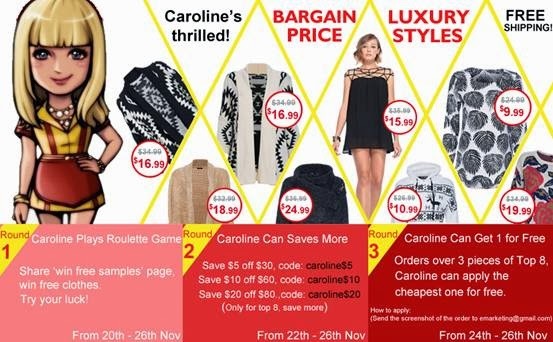 Don't miss out on this epic opportunity to save a lot and look great! ps. I have that pretty little black dress in the photo, you should get it, its extremely well made and gorgeous in person. I got it at full price and still worth it. Now you can get it for less than half its original price HERE.